(April 01, Colombo, Sri Lanka Guardian) The Lessons Learnt and Reconciliation Commission (LLRC) visited Ampara on March 25 as a part of their last outstation session. The Commission also visited Buttala, Siyambalanduwa and Kalmunei in the following days. Immediately after their return it was announced that the LLRC had stopped public sittings and will focus on preparing the final report which is to be handed over to the president by May 15th, 2011. 100 oral submissions and 480 written submissions were made during the three days and 80 submissions were made during the session in Ampara. Unlike other outstation session where the majority of the complaints were on abductions and disappearances those who gave evidence in Ampara spoke more on general matters including the need for unity, understanding and ethnic reintegration. However a few allegations were made against the TMVP, the Military and the LTTE for arresting/abducting loved once and forcible recruitment. Also a small number of people sought the assistance of the LLRC to locate their loved once held in detention centres. 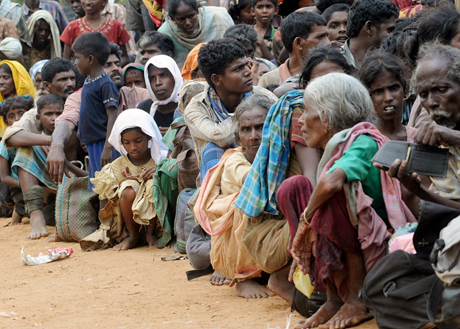 The LLRC has repeatedly requested the government to release a list of names of detainees held in camps around the island and it has been one of the key topics during the talks between the Tamil National Alliance and the government, however the government/defense establishment has not given a positive response.Also several war widows sought financial assistance, it is estimated that there are close to 50 000 war widows in East alone. Our observer reported that the sessions were held without any incidents similar to those which occurred during the sessions in Kaytes Island and Mannar. However a startling development of this session was the minimal participation and coverage given to this session by the local and international media. Even the Colombo based mainstream Tamil news papers like Weerakesari and Thinakural did not send staff reporters to cover these sessions and used the provincial correspondents. In addition there were no representatives from Sinhala and English media institutes neither the embassies or NGOs who covered previous sessions were also not present during the above sessions. The sudden announcement of the LLRC's visit may have been one of the main causes for the remarkable absence of the media representation. In fact, the visit which was originally scheduled in January 2011 was delayed due to the floods in the East. Moreover, the LLRC's last minute announcement of its visit to Ampara which is only about a week before their departure would have made it difficult for media institutions/observers to deploy teams to witness the sessions. However, the GoSL officials who coordinated these sessions in Ampara did not divulge the information to the public pertaining to the sessions appropriately. Furthermore, the fighting in the East ended in 2007 (and the province was never under the full control of the LTTE in any given time) and currently the area is in a much better shape than the North, to complete an unbiased mission of fact finding. However, there are serious unaddressed issues in the area including sporadic human rights abuses and the presence of militant groups to be resolved immediately. Throughout the LLRC outstation sessions, people consistently complaint about similar issues, i.e. abductions, disappearances, detainees, land issues and financial assistance. In this regard LLRC has continuously promised to find solutions to these complex yet basic matters over and over again; conveniently they too have shown a cold response to the emerging challenges of the community. However, CHR hopes that the commissioners will prepare a final report which would address these elementary issues, to the best practice standards and of the international norms and provide definite answers.